Gitarattan Jindal Public School, Rohini was constituted in the year 1988 under the aegis of Rohini Educational Society. Ergonomically constructed, the three storey school building has a unique architectural design, state-of- the art furnishings, out of the ordinary furniture, an elegant reception, a spacious library with vast treasure of books, groovy facilities for indoor & outdoor games, gaiety enclave, hygienic cafeteria & an imposing infirmary. The school has embraced technology in form of well equipped labs: ITC Resource Centre & Math lab. 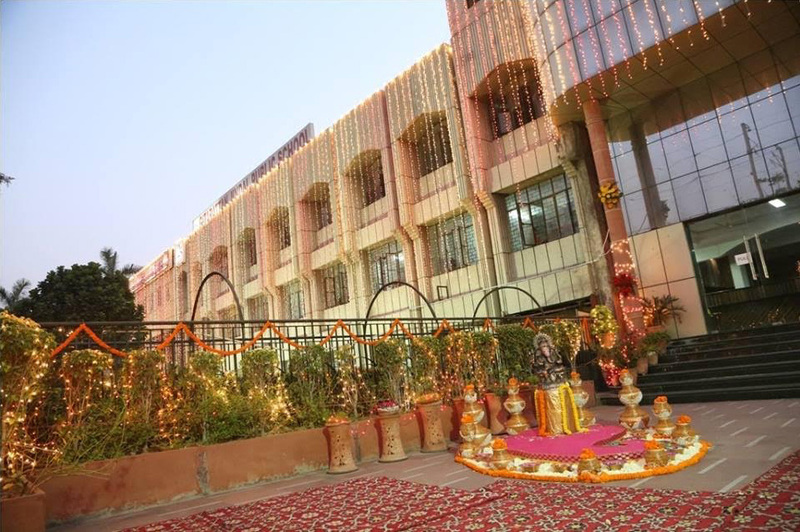 The school, being located in the centralized area, is connected with Delhi Metro & is easily within the reach of commonality. The building is surrounded with CCTV surveillance & systems are monitored from our nerve centre. The building maintains power & water backup. The campus is eco friendly & the school announces it to be tobacco free. Surrounded with softwood, the school serves as a nestling bud to its fraternity. Well qualified & experienced staff is always on their toes for the sake, welfare & betterment of the pupil. The name is popular among the top challengers of north zone for 2 consecutive years as declared via a survey conducted by TOI. Committed to quality education, the school has been conferred with International school award by British Council (2016-19). We ensure to supply our children with wings to fly high as for us "Sky is the limit".